An affordable small luxury boutique hotel located in the heart of Downtown Seattle's Historic Pioneer Square. 75 Beautifully appointed Rooms and Suites with private tiled bathrooms Corian countertops, brass fixtures makeup-friendly light bars, and hair dryers. Individual Climate control (Heating and air conditioning) in each room. Color remote control televisions in swivel armoires. Guest room telephones with individual Computer data ports. Walk to the Ferry terminal, the Kingdome, Amtrak station, the Federal and County Courthouses and Historic Pioneer Square's shopping, restaurants, nightlife and tourist attractions. Also an easy walk to Seattle's business-core buildings such as the Columbia Seafirst Tower and First Interstate Bank building. All major credit cards accepted. 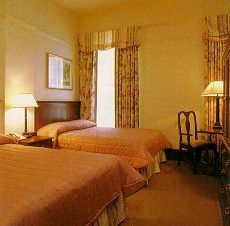 Affordable low rates from $109-209 per night. This and other Downtown Seattle Hotels can be found here in The Register.